I’ve watched Yoda lift Luke’s X-wing out of the murky swamp and cheered as the Millennium Falcon navigated through the treacherous asteroid field in The Empire Strikes Back more times than I can count, but seeing these scenes unfold with a live orchestra Friday evening was like no other viewing before it. Leia’s theme takes on a new poignancy and the Battle of Hoth a fresh urgency when you’re sitting in the room where the score is being played in real time. In fact, the entire film, shown with subtitles on the big screen hovering just above conductor Emil de Cou inside theLouise M. Davies Symphony Hall in San Francisco, was full of new discoveries, musical nuances, and even lines that, much to my dismay, I had never before noticed. 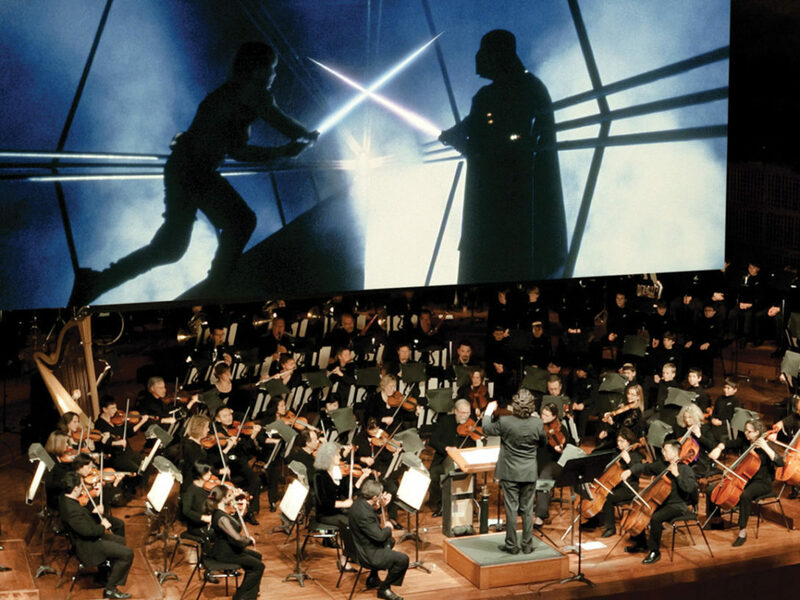 The recent series was just one of many international concerts that bring the original trilogy to life in this way. 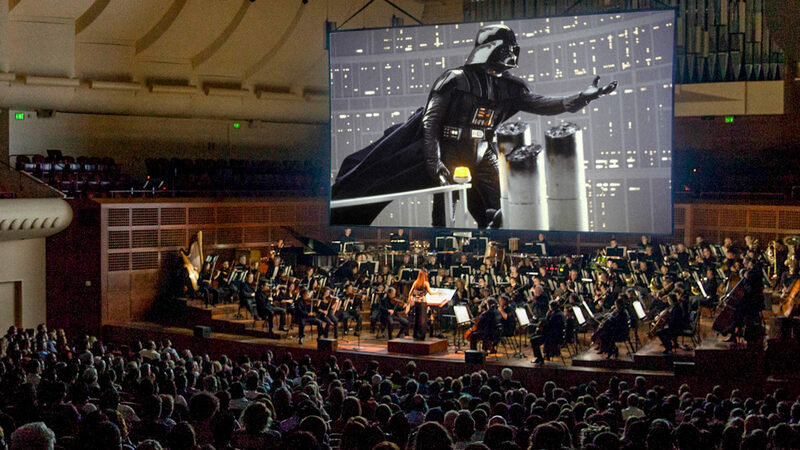 The Los Angeles Philharmonic will present screenings of A New Hope and The Empire Strikes Back on the Hollywood Bowl’s big screen Aug. 7 through Aug. 11, with other showings set at venues across the country and around the globe, including shows in London and beyond. 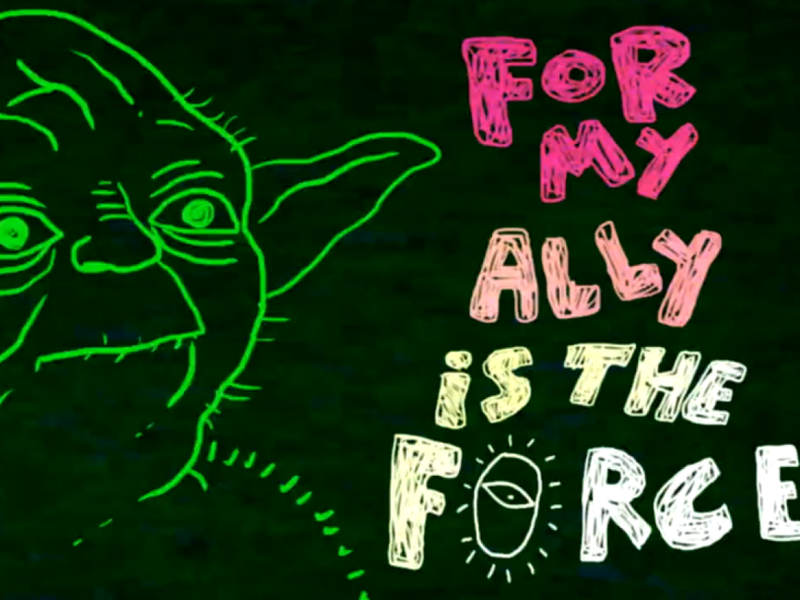 I expected the live orchestra to add a new level of magnificence to the already majestic opening crawl and the harsh bravado and pounding percussion of “The Imperial March” and the San Francisco Symphony orchestra did not disappoint. But I couldn’t anticipate how much the performance would add to the brilliance of the score’s quieter moments and subtle movements. Seeing it on the big screen again (my last viewing in such a manner was back during the theatrical release of the Special Edition) surrounded by an enraptured audience, served as a reminder that Star Wars has a way of acting as a universal language, shorthand for a community that responds to the same moments and exchanges in much the same way and feels the emotional pull of the journey on-screen on a deeply personal level. And the music itself is an integral part of the experience, surrounding us and binding the galaxy together. For de Cou, his joy in conducting John Williams’ score to Empire was apparent from the moment he jogged out onstage Friday night. The audience responded in kind with a standing ovation that lasted through four bows when the last of the credits had rolled. From his podium, de Cou beamed as he watched the film unfold on a small monitor and led the musicians into the thunderous opening. 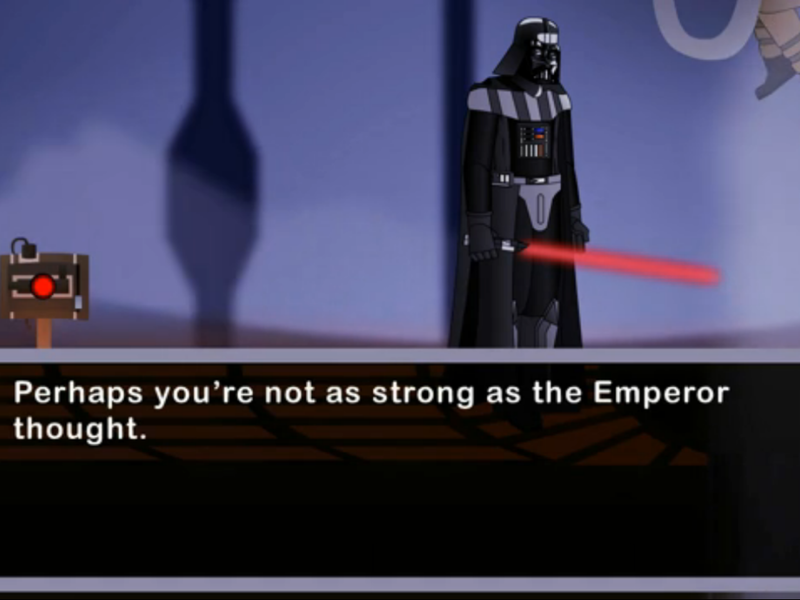 During breaks between pieces, players sat patiently awaiting the next cue, craning their necks to watch banter inside Echo Base and later Luke’s epic lightsaber duel with Darth Vader, their faces bathed in the glow of the screen. Seeing the film with a live orchestra brings a new appreciation for the emotion of the quieter moments, softer notes easily lost in the recording studio or overshadowed by dialogue and foley work. 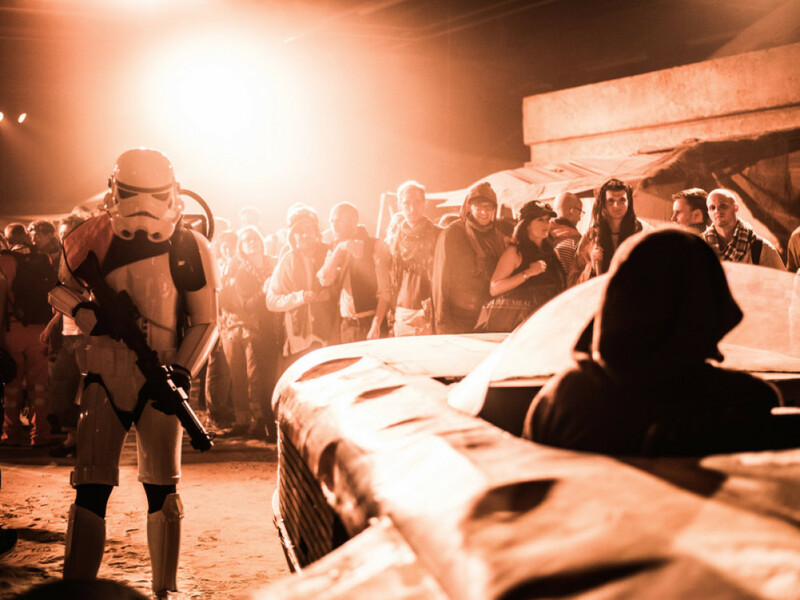 “With all of the tumult of the story, at its heart it is a love story,” de Cou told StarWars.com before the show. His personal favorite piece during the show is, unsurprisingly, on Cloud City just as Han is being led to the carbon freezing chamber. “After a slow version of the Darth Vader theme, as Han is being led away he turns to Princess Leia and says ‘I love you’ over the Han Solo and Princess ‘love theme,’” de Cou says. “John Williams writes in the score ‘with growing intensity’ and the music is written to get more and more impassioned, adding more instruments until the unresolved love is crushed by a brutal military theme, where Williams writes ‘molto drammatico.’” We know the moment well. If you’ve never attended a symphony show before, you may think the audience will be dressed more for Canto Bight than Mos Eisley, but the crowd at Friday’s performance was an eclectic mix of stormtrooper ties and tuxedos mingling with Star Wars T-shirts and even a few people dressed in full Jedi robes. One fan merged the best of both worlds, opting for a sleek black dress and a figural Yoda backpack. 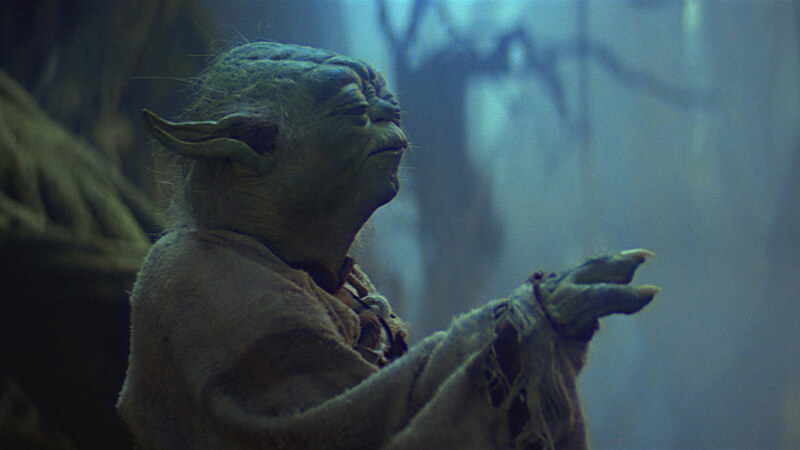 Not unlike seeing the film in a regular theater, Han and Leia’s classic insults and Yoda’s child-like antics warranted chuckles from the audience, and Yoda’s sage wisdom drew applause, while Luke and Leia’s kiss garnered more of a mix of knowing disgust and a few awkward laughs. The orchestral addition made the composition come alive in a thrilling new way, but there were still times I found myself so immersed in the movie, that I forgot I was sitting in a symphony hall. And perhaps this is the highest compliment to the nearly 40-year-old film: Even after so many viewings, there are still new things to discover — the way the harp adds a delicate flourish to the score inside the wampa’s lair — and the experience is just as magical as it ever was.